Apartment Therapy's The Kitchn posted 10 tips for clearing your fridge of half-filled condiment bottles. Why anyone would want to "clear out" perfectly good condiments is beyond us! Tip #11. 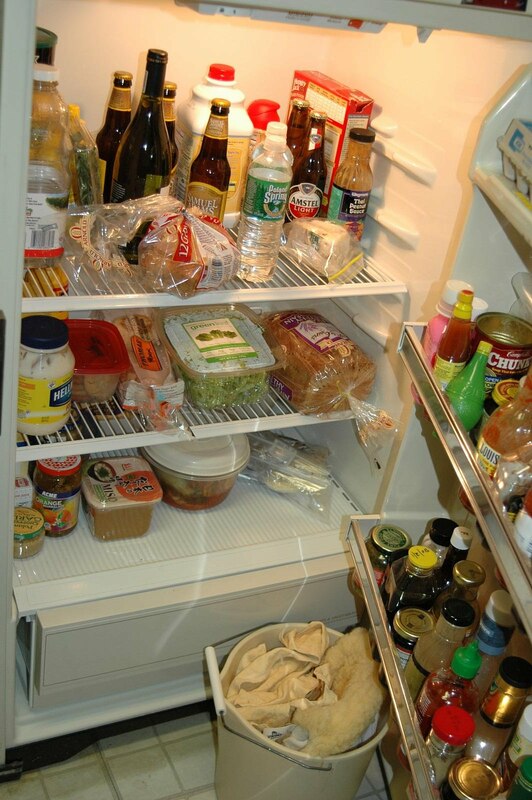 Remove crisper draws to make room for more condiments.